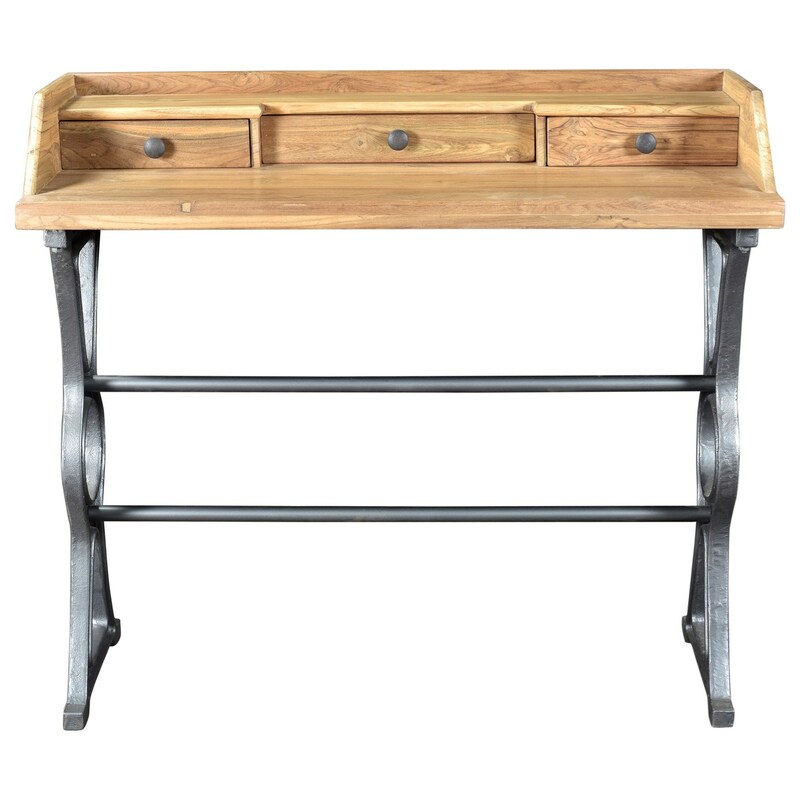 Taking inspiration from industrial machinery, the Colt desk features a forged iron base and an old-school writing desk appeal. Made using old, recycled teak. Solid teak is prized for its beauty and longevity. Industrial Style. Part of Colt collection. Dimensions: 41.5"W 17"D 37"H. Product weight: 77.2lbs. Color: Natural. Matt Lacquer; Water-Based Stain finish. Product requires assembly. Made in India. We are offering 1 year limited warranty (covered for any manufacturer's defect). Construction: Solid Teak Wood. Frame: Iron. We understand how important your home is and how decorating your kitchen, dining room or bedrooms with classy, contemporary furnishings can help make it a place that reflects who you are. We believe in the power modern furniture has in creating not just a home but YOUR home. We believe in feeling good about our home's environment, and we think you do too. 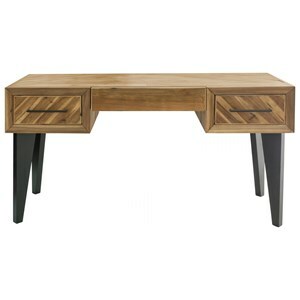 The Colt Industrial Solid Wood Top Writing Desk by Moe's Home Collection at Stoney Creek Furniture in the Toronto, Hamilton, Vaughan, Stoney Creek, Ontario area. Product availability may vary. Contact us for the most current availability on this product.